"The spiritual life cannot be made suburban,” said Howard Macey. “It is always frontier and we who live in it must accept and even rejoice that it remains untamed.” The greatest obstacle to realizing our dreams is the false self’s hatred of mystery. That’s a problem, you see, because mystery is essential to adventure. More than that, mystery is the heart of the universe and the God who made it. 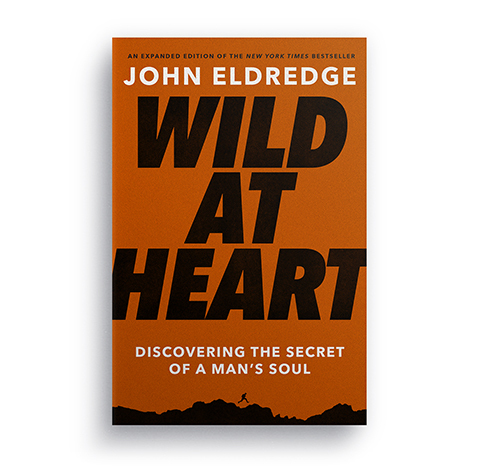 The most important aspects of any man’s world— his relationship with his God and with the people in his life, his calling, the spiritual battles he’ll face—every one of them is fraught with mystery. But that is not a bad thing; it is a joyful, rich part of reality and essential to our soul’s thirst for adventure. There are no formulas with God. Period. So there are no formulas for the man who follows him. God is a Person, not a doctrine. He operates not like a system—not even a theological system—but with all the originality of a truly free and alive person. “The realm of God is dangerous,” says Archbishop Anthony Bloom. “You must enter into it and not just seek information about it.” Take Joshua and the Battle of Jericho. The Israelites are staged to make their first military strike into the Promised Land and there’s a lot hanging on this moment—the morale of the troops, their confidence in Joshua, not to mention their reputation that will precede them to every other enemy that awaits. This is their D-Day, so to speak, and word is going to get around. How does God get the whole thing off to a good start? He has them march around the city blowing trumpets for a week; on the seventh day he has them do it seven times and then give a big holler. It works marvelously, of course. And you know what? It never happens again. Israel never uses that tactic again.